Paul Giamatti would be a close second choice, but Reilly wins out with his ability to capture “stupid” in such a doltish, lovable manner. But despite his low IQ (if only it weren’t for that crayon! ), Homer is still very believable as a devoted father and husband, and if you think Reilly can’t pull that off, you haven’t seen Chicago. She may not have quite the “unique” voice that Marge has charmed us with over the past quarter of a century, but she sure does have just the right blend of dorky mom humor and hotness that is Homer’s better half. Only the kid who played serial killer Dexter Morgan’s step-son could master the cool, likeable menace of “El Barto”. This star of Girl Meets World would have to go blonde and spikey for the role, but few other young actresses could tackle Lisa’s brilliance. 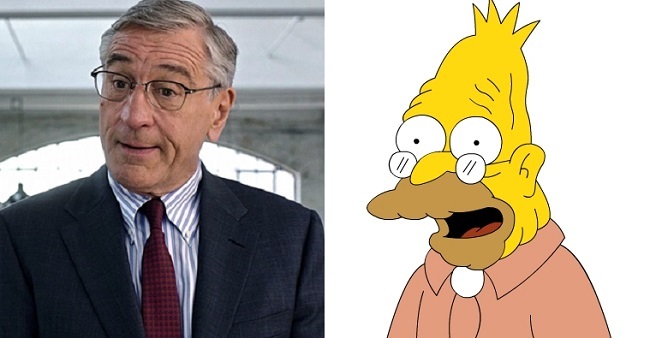 Robert’s comedic timing would be perfect for Grampa Simpson’s unintentional one-liners and frequent forays into nonsensical banter. Plus, he’d look great in a bolo tie. Eastwood may be far from frail, but his intimidating demeanor and voice are perfect for playing Springfield’s richest and most evil citizen. Only the kid from the Insidious movies would be able to accurately portray the bully, tortured soul, and occasional somewhat decent friend that Nelson Muntz has become. Seriously, who else could you imagine nailing Ned’s “Hi-diddly-ho neighborino!” friendly yet annoying charm? Besides, Macy’s already got the look down pat. Sure, Apu is a blatant stereotype, but so are a lot of Simpsons characters. In fact, the offensive-yet-somehow-lovable stereotypes are part of what make the show so great. Having said that, Apu happens to have one of the more complex storylines of the side characters, and there’s an underlying bite to him that often yields comedy gold. On that, Penn could certainly deliver. This “Mom” star and “Bridesmaids” actor can do the perfect mixture of nerdy and patheticness that is Bart’s best friend. Oh, and he already comes with glasses. Moe is a funny looking guy, and so is Buscemi. But what makes this casting choice so perfect is Buscemi’s incredible acting range. He can be funny and friendly one minute and deadly serious and threatening the next, which is exactly the type of guy Springfield’s infamous bartender is. Krusty is a pretty krappy excuse for a clown, but he does somehow manage to make the kiddies laugh. 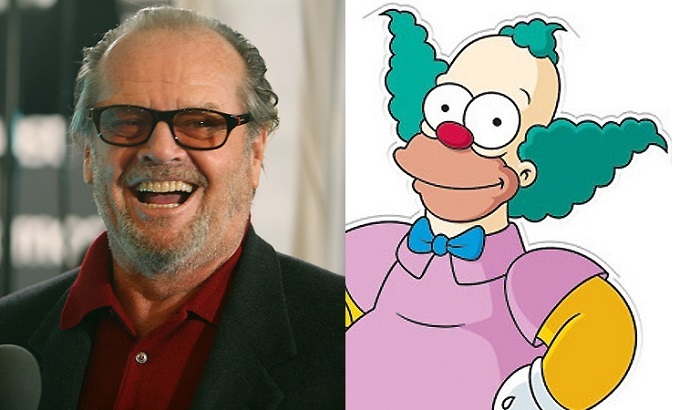 Think of a slightly lighter version of Nicholson’s portrayal of The Joker and there you have it. A true comic nerd himself, Smith would be the perfect choice both physically (shave his hairline back, remove the glasses and viola!) and personality-wise. If you need an explanation for this one, you haven’t seen the show. Arnold Schwarzenegger has Rainer’s built, hair and face down to a T! And as a bonus, Hans Moleman would be portrayed by none other than the American treasure that is Danny Devito. And of course, an unknown baby prodigy would play Maggie. ‘The Simpsons’ and ‘Family Guy’ will meet in special episode! Brianna received B.A. in Journalism and Professional Writing from The College of New Jersey, after completing two editorial internships and serving as the award-winning student newspaper's editor-in-chief and web editor.